The Pendleton Woolen Mills trademark blankets and brand are synonymous with the American West and quality goods. Their story began in 1863 when British weaver Thomas Kay traveled to Oregon and went to work in a mill in Salem. Before long, he opened his own mill in Salem, then a second in Brownsville. He brought is oldest daughter, Fannie, into the business. After learning the operation and management of the mill, she became her father's assistant. 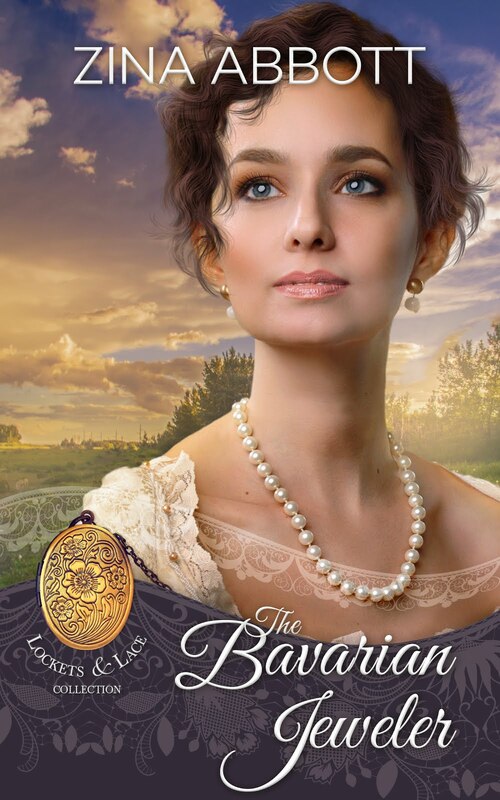 In 1876, she wed a merchant by the name of C.P. Bishop. The marriage proved to be a boon to both Kay's mills and Bishop's enterprises by combining manufacturing and retail sales. The couple had three sons: Clarence, Roy, and Chauncey. 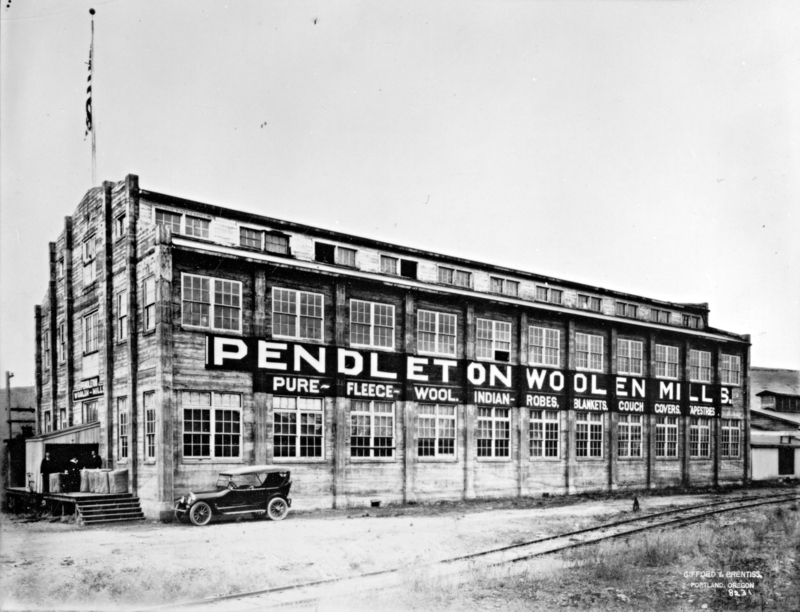 In 1909, the family packed up and moved to Pendleton, located in northeastern Oregon, and took over a woolen mill that had operated briefly before shutting down. The original mill had been a wool scouring plant where raw wool was scrubbed and packed before being shipped out to textile mills. In 1895, the mill was enlarged and converted into a textile mill then soon began making Native American trade blankets. European contact with Native Americans meant the introduction of trade goods. A trade blanket replaced hide robes and handwoven blankets previously used for trade. These blankets were and are made of intricately woven patterns and bright colors. Trade blankets are used by Native Americans as gifts to commemorate important milestones or achievements, as giveaways to show honor and respect for important positions, and at powwows worn and used as part of the attire of dancers. When the Bishop family took over the defunct woolen mill in Pendleton, they began production of the Native American trade blankets, only their design featured square rather than rounded corners. The town of Pendleton welcomed the family and encouraged their business venture, particularly when the Bishop family took over the name of Pendleton Woolen Mills. Eastern Oregon was sheep country and having wool producers near the mills allowed the mill to significantly cut production costs. With Pendleton's location as a major railhead for the Columbia River Plateau, it allowed for convenient shipping for a growing business. The Bishop family built a new plant with the help of the town which issued bonds for the plant's construction. Before long, they were producing blankets that soon became coveted not only by Native Americans, but many others. They expanded their business from local tribes in the Columbia River region to include the Navajo, Hopi, and Zuni peoples of the American Southwest. To do this, they hired designer Joe Rawnsley, who visited tribes to learn their customs and color preferences. Considered to be a talent with a jacquard loom, Rawnsley would interpret the ideas he gathered during his research with the tribes into blanket designs. Using the latest technology available, he could express pattern ideas in much greater detail and strikingly vivid colors than could ever be achieved by traditional weaving methods. The company opened a weaving mill in Washougal, Washington (near Portland, Oregon) for the production of woolen fabris used in suits and other clothing in 1912. By 1918, Roy, the second oldest son, left the business to form his own company, the Oregon Worsted Company. But the oldest son, Clarence Morton Bishop (known as C.M. ), envisioned a clothing line for men. Up until then, most woolen shirts were considered work shirts and came in subdued colors, primarily gray. Wool shirts were warm, durable, and drab. C.M. pictured a different kind of fabric for a man's woolen shirt, based on the sophisticated weaving technology used in the vibrant trade blankets. In 1924, the company began production of the Umatilla shirting fabric. The rich colors in their woolen plaid shirts were completely new to the market. The response was positive and immediate not to mention enduring. Chauncey, their third son, died in 1927, leaving C.M. with sole responsibility for management of the Pendleton Woolen Mills. During World War II, the company devoted most of its production to blankets, uniforms, and clothing for the U.S. military services. After the war, they added a wool clothing line for women, including the popular 49er jacket and a reversible pleated skirt. In the 1960s, a singing group called The Pendletones formed. The name was adopted in honor of the popular "surf uniform" of the day consisting of Pendleton shirts worn over T-shirts with khakis. Before long, the group's name was changed to The Beach Boys, but you can see them wearing their Pendleton shirts in publicity photos. In the 1970s, the company expanded gain, introducing non-wool garments for men and women. The story of the Pendleton Woolen Mills is one of innovation, exploration, and opportunity. They've become a hallmark of beauty and quality woolen goods for more than 100 years. Family-owned and operated for more than six generations, the original Pendleton Woolen Mills plants in Pendleton and Washougal are among the few woolen mills in operation in the United States today, and the only mill in the country still weaving Native American trade blankets. If you find yourself in Pendleton, stop by the woolen mills and take a tour. Explore the small museum set up there, and let the rich history of an amazing company warm your soul. Oh Shann- ThNk you for such an amazing history lesson. I would love to visit Pendleton. It would be great to visit there, I love their shirts. Thanks for this interesting and informative post. Over the years I have owned and loved a few pieces of Pendleton clothing. I recognize it as quality immediately!